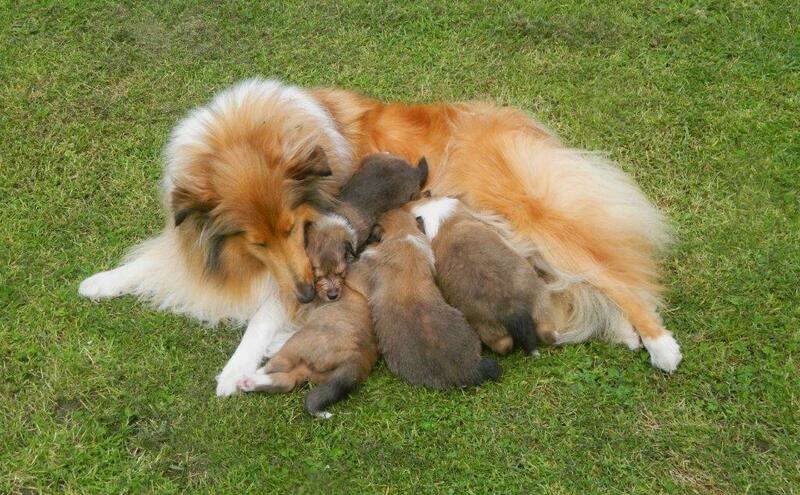 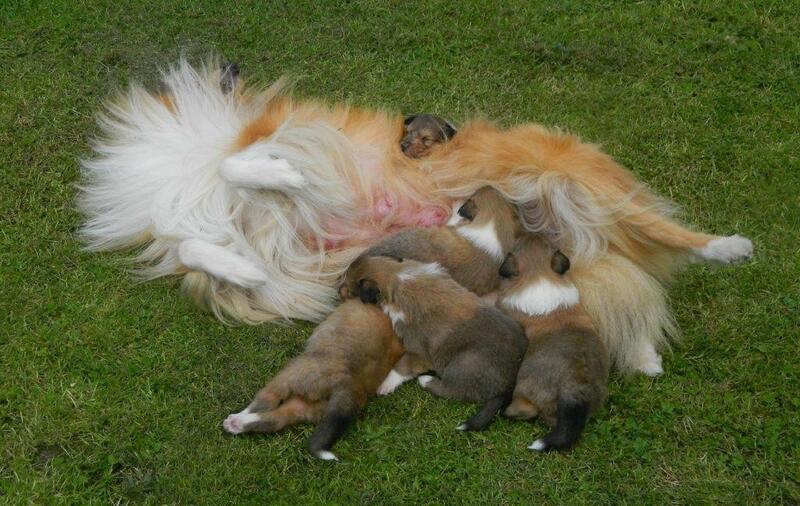 Montana having fun feeding her puppies! 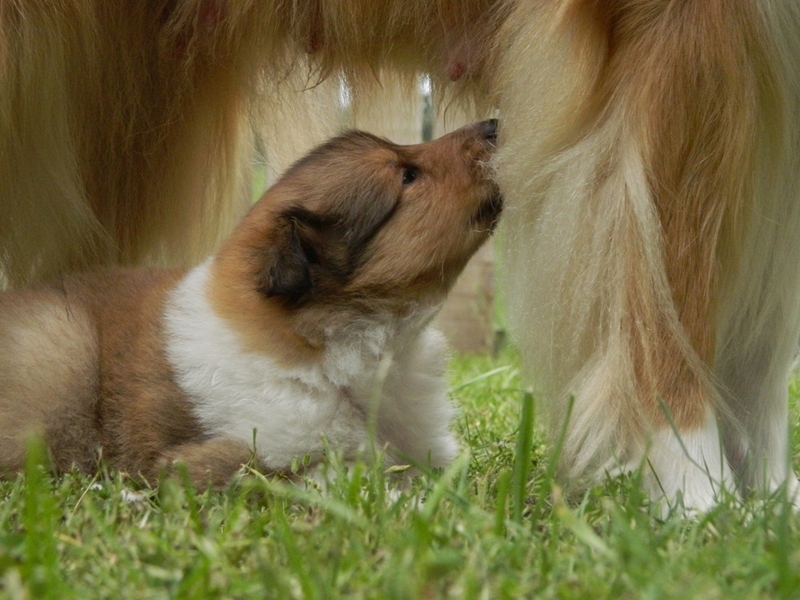 One of the girls checking out her Mum! 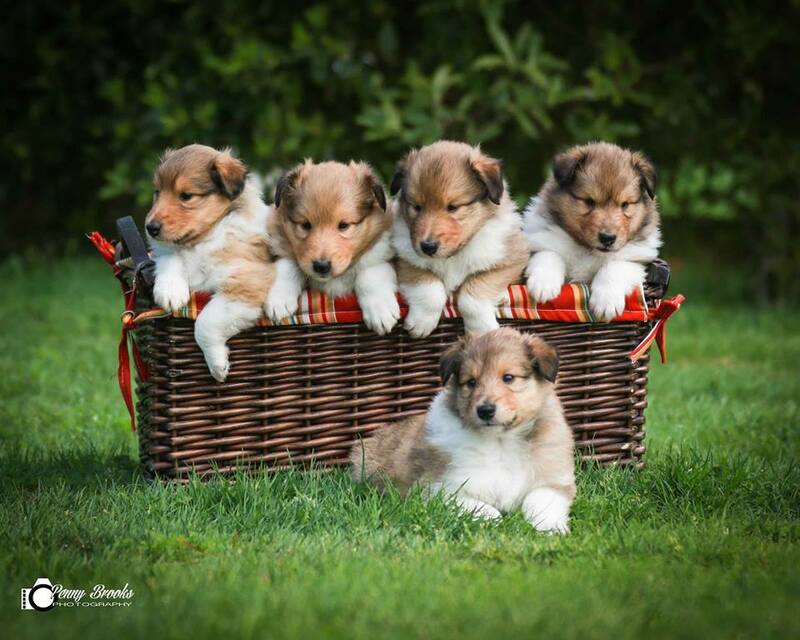 Puppies at five weeks old.